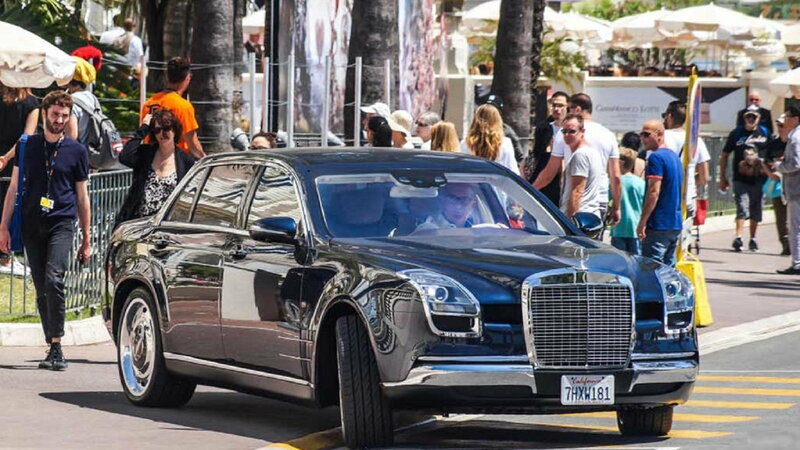 Slideshow: A few years ago the internet was set ablaze by the one-off Mercedes-Benz S600 "Royale" and many wondered if a move for a limited production was anywhere in the works. We're still waiting to see what will happen but until then we can bask in its glory together. 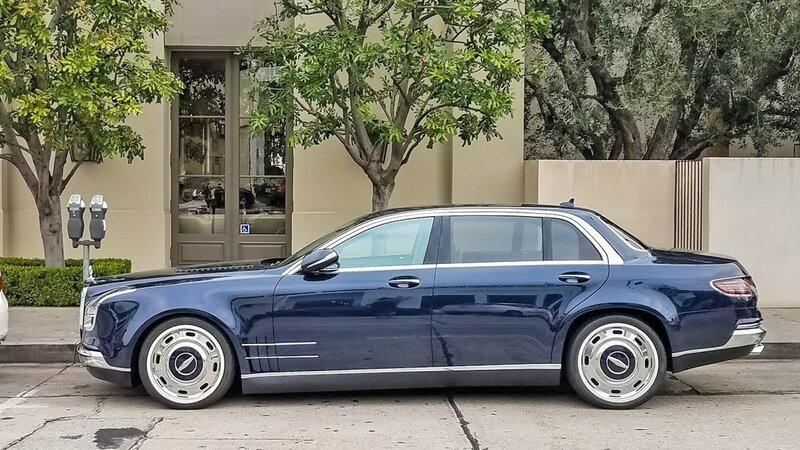 When first spotted, many questioned if the Royale was actually built on a Mercedes platform or if it used a luxury donor such as a Bentley or Maybach sedan. 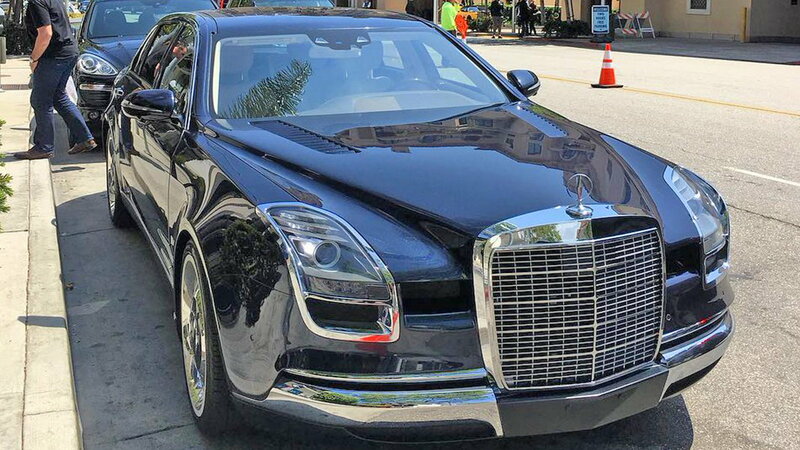 Upon closer inspection with some of the newer photos that have surfaced, it is clearly a W222 Mercedes S-Class by the shape of the windows, roofline, and interior design. That said, it is far from its original form and, whether you love it or hate it, is an eye-catching automobile. The Royale pays homage to the classic W110, W111, and W112 fintail Mercedes models, as well as the W108 and W109, built during the 1960s and '70s by incorporating a massive front grille, chrome bumpers, and headlights that sit much more vertical than those on the W222. The cruiser features supercar touches such as hood vents, and the headlight units are the same as found on the SLS AMG. Overall, the car has an odd mix of retro and futuristic styling that gives us an idea of what the Mercedes luxury line could have possibly evolved into had they not changed directions with the more contemporary W116 in late 1972. >>Join the conversation about the Infamous S600 Royale right here in the MB World Forum! 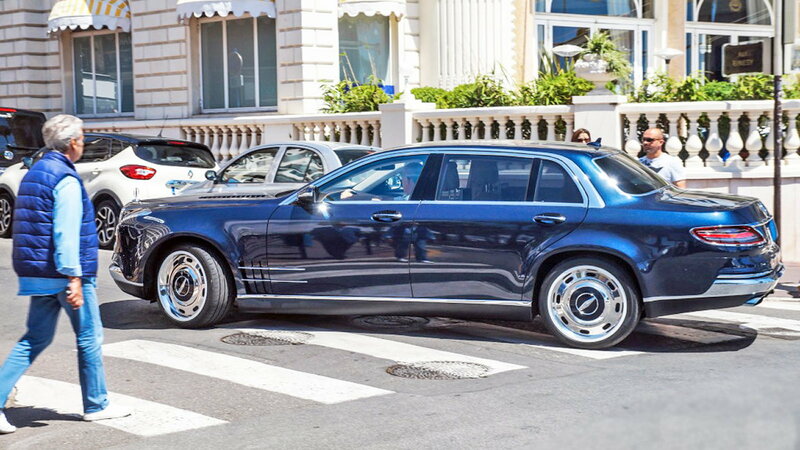 Moving over to the side of the car, the wheels are supposed to look like a classic hubcap design as employed on a number older S-Class cars, but they have been enlarged to 21 inches and are wrapped with 30-series low-profile tires. The Royale takes another supercar cue from the SLR McLaren with its louvered side vents and chrome accents. Touches of chrome along the side skirts, door handles, and around the windows contrasts nicely with the deep blue paint. The rear of the car is much more squared-off compared to a standard W222 S-Class. The trunk looks as if it has been raised with a slight crown and even possibly extended towards to rear of the car to give it more of a fintail look. The builders sampled from the SLS AMG parts bin once again by using the same tail lights as the supercar, albeit with chrome trim. The dual exhaust tips may suggest it is equipped with the monstrous twin-turbo V12 from AMG, but after some digging, several sources have claimed that the VIN indicates it is equipped with the 4.7L V8 as found in the S550. With all of the glamorous coachwork that has gone into the exterior of the car, one would expect an extravagant interior, right? Unfortunately, the inside of the car has not undergone any significant changes and appears to be a standard S-Class interior. That is not to say that the original interior is anything to scoff at as Mercedes has done an excellent job with their luxury line interiors, but on such an extensive build, one would expect something a bit more imaginative and exotic. 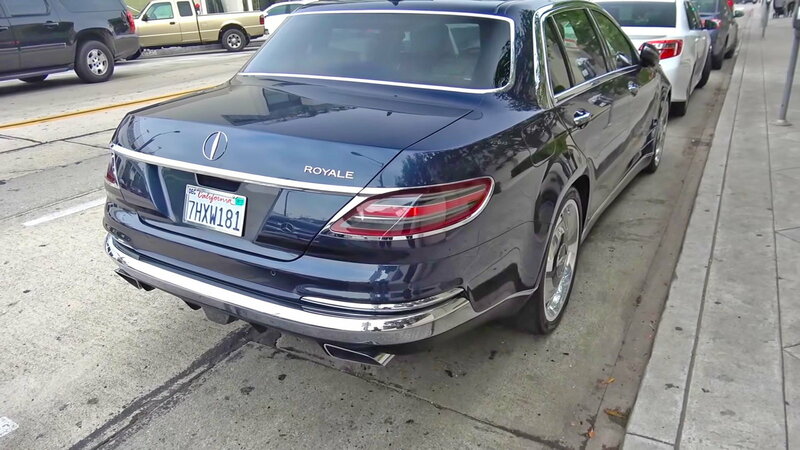 While new information has been uncovered about the S600 Royale, we are still left with a handful of unanswered questions. The biggest thing many of us are wondering is who actually built the car? Sources have stated that Galpin Auto Sports were the first to feature the car on their facebook page, and although they do their share of custom work, have not taken credit for it. Similarly, many have questioned who the owner of this fine piece of machinery may be. For those who are little more mechanically minded, you may be asking what material the body panels are made of, what performance mods have been made to the engine, and what kind of suspension and brakes this thing may have. Unfortunately, these questions will likely have to wait as photos alone will not give us the answers we seek. If you need help with routine maintenance of a Mercedes you already own, the how to section of MBWorld is here to help.